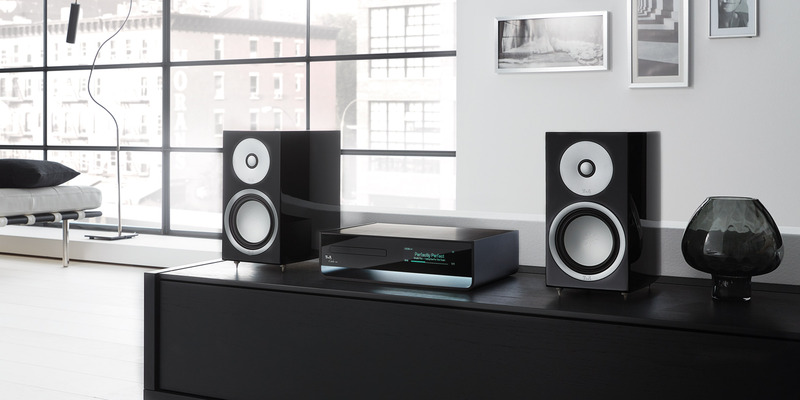 A large number of highly demanding music enthusiasts still exist who insist on more than just top-quality sound from their stereo system; they also require sophisticated design, excellence of craftsmanship, simplicity of operation and compactness. These people cannot even contemplate the typical large systems assembled from separate components. The CALA’s shallow depth allows it to fit in virtually any shelf system. 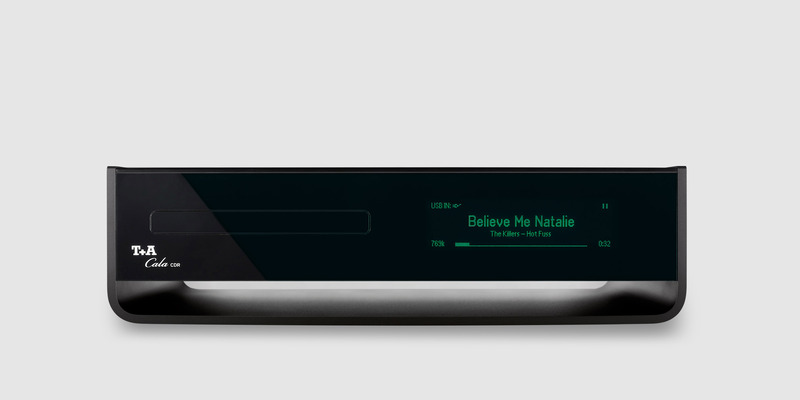 Our new CALA® receivers enable you to exploit every available music source in exceptional sound quality. The design of our CALA® receivers is unique, and the machines are built using only the very finest materials. The purist front panel is not disturbed by a single control knob. Every aspect of every function is controlled in a logical and intuitive manner using just the FM1000 IR remote control handset, or the T+A Control App. Since the 1990’s we have developed compact receivers based on our enormous expertise in the construction and production of absolute top-quality High End separates. The term receiver refers to a machine based on an integrated amplifier which also incorporates additional signal sources. A system based on a receiver is therefore particularly compact, and T+A has a long and successful tradition in this class of equipment. As early as 1995 we developed the K1, which combined output stages with a FM tuner and CD mechanism. Due to the rapid development of digital technology, streaming technology and new digital signal sources, we now have enormous possibilities to integrate a variety of different music sources into compact devices. Our new CALA® receivers enable you to exploit every available music source in exceptional sound quality: Internet radio with Airable Internet Radio Service; three different music services; UPnP; network music servers and USB storage media; FM, FM-HD and DAB+ radio; CD and music from external sources via the SP/DIF inputs. Content on mobile devices can also be streamed at excellent quality using HD Bluetooth, and even reproduction of analogue sources including Phono MM and high output MC is possible. 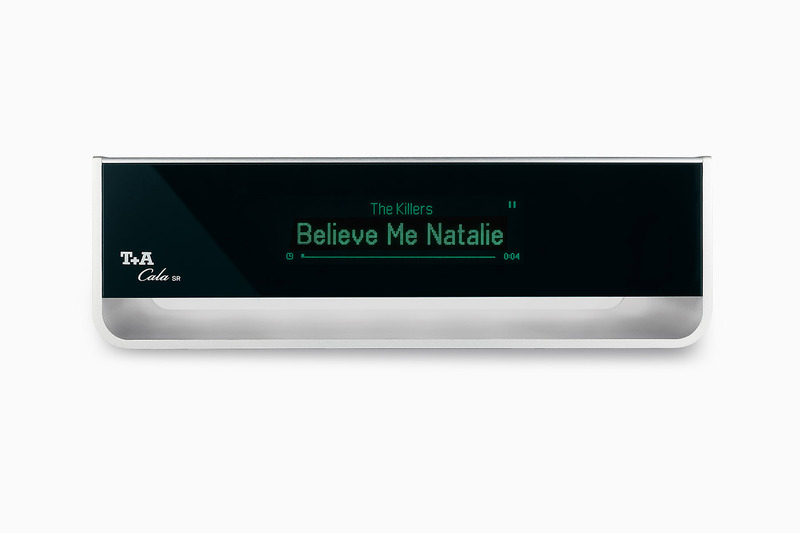 The new CALA® receivers offer even higher levels of style and quality than their predecessors. Not a single control knob disturbs the puristic front panel. The main case is of solid aluminium construction, and is produced in a single manufacturing process with the help of a complex tool, after which it is glass bead blasted to a fine finish and anodised. The cover is also made of aluminium, hand-brushed to a refined surface before being anodised to a high-gloss finish. The front panel consists of lustrous black acrylic, and accommodates the large-format graphic screen; the latter displays the data and information in context-sensitive form in various font sizes, and can be dimmed over several levels. The inner chassis, which supports all the electronics, is also made of aluminium.